Have you thought through your long term goals regarding your home? Well, setting your goals is the most important part of the loan modification process. If you know your goals and options, your foreclosure defense attorney can formulate a strategy based those goals. The loan modification you receive will depend on how well your foreclosure defense attorney portrays your situation to your lender. Your foreclosure defense attorney should talk to you about your loan modification options, set realistic goals, and formulate a strategy based upon those goals. 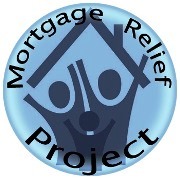 Listed below are some loan modification options included in the mortgage negotiation process and a brief explanation of how each element can help you resolve a troubled mortgage. Most homeowners that seek a loan modification that allows them to keep their home. An experienced foreclosure defense attorney can explain your loan modification options and the best strategy for obtaining them. 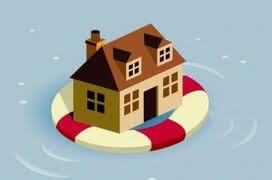 Talk to a foreclosure defense attorney about your options! Usually, a large portion of your debt is comprised of penalties and late fees. If so, your foreclosure defense attorney can negotiate to reduce the fees and late charges or have them waived entirely. Your foreclosure defense attorney can also negotiate to capitalize your arrears and add them to your principal balance. Doing so will give you a fresh start with a new payment. Sub-prime, high interest rates are a big reason why so many people face foreclosure today. Lowering your is the most common form of loan modification for reducing payments. As such, many loan modifications use a tiered interest rate which starts very low and graduates to a fixed rate loan at a competitive interest rate. A good foreclosure defense attorney can negotiate to have your interest rate reduced. A foreclosure defense attorney can also raise legal defenses to abusively high interest rates. Another option is to extend the term of your loan. Doing so allows you to spread out the payments over a greater length of time. For example, re-amortizing your 30 year mortgage as a 40 year mortgage will result in a significantly reduced monthly payment. Almost all lenders will agree to this change because they would technically make more money over the long run. For a good foreclosure defense attorney, it is a last resort option. Many homeowners who fall behind have adjustable rate mortgages or a “balloon” payment they cannot afford. With a fixed-rate mortgage, your mortgage payments will remain unchanged for the entire term of your loan. In addition, the fact that interest rates are historically low makes this is an attractive option. Accordingly, any good loan modification today includes a rate fixing component for adjustable rate loans. In some cases, it makes sense for your lender to reduce your balance. Increasingly common, principal reductions are usually granted when the costs of foreclosure are greater than the amount that the lender is able to write off. Negotiating a principal reduction is the hardest loan modification element to obtain. An experienced foreclosure defense attorney is best positioned to make a presentation convincing your lender to grant a principal reduction.